There’s always a new idea or two that can help you organize your craft room and all those fabulous craft supplies you LOVE! Every few months I have to organize a little more because I keep adding to my collection of craft goodies and projects. Good or bad, whatever…my twine, felt and other sparkly stuff makes me happy. So, I am constantly on the hunt for creative ideas using items I might already have around the house or quick projects that take minutes to make a huge difference…you gotta love those! 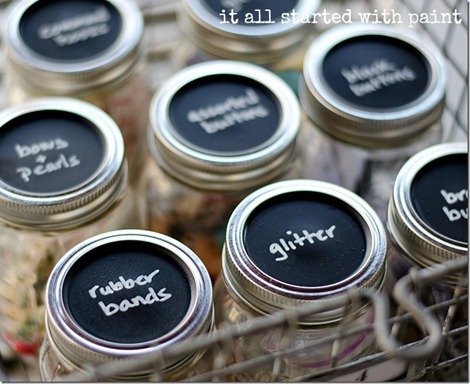 This is an awesome idea for those little items that you don’t want to hide away in a drawer…not that I would do that! Well, maybe I have a drawer full of tiny goodies with no home. Crafty people aren’t always the most organized, right??? What a beautiful idea for keeping your twine out and easy to use! I like just looking at this. It makes me want to wrap a package all pretty with twine and a cute tag. Where’s your twine at right now? This might be just what you need! These fabric covered memo boards take minutes, cost just a few dollars, and make your wall look happy…enough said! I have a thing for mason jars, but I don’t think I’m alone in that! 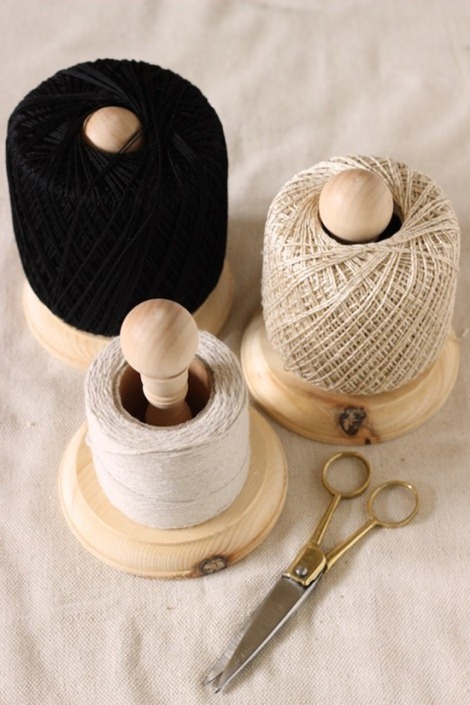 I love everything about these twine holders! 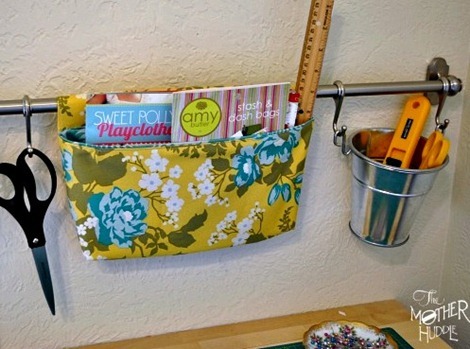 It’s a simple project that would look great in any style of craft room. Nesting boxes are a beautiful addition to any craft room and they really can help you stay organize and keep the clutter under control. I do much better with organization when I have pretty containers to work with, don’t you??? Hang your patterns in a nifty hanging basket…you know you want one of these somewhere! 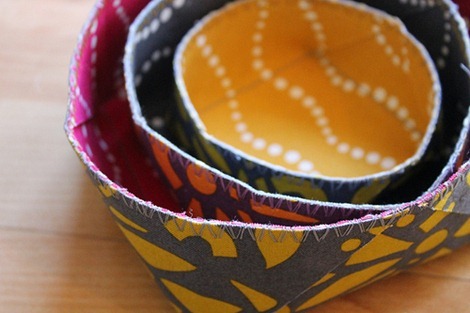 This is a quick sewing project that’s sure to make you feel like you accomplished something big. 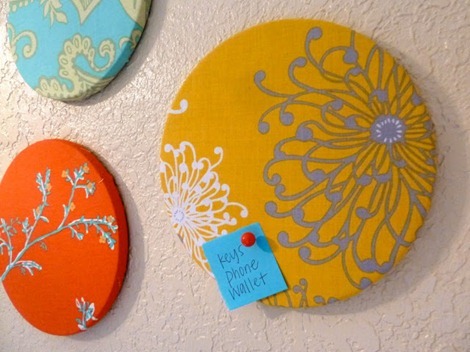 Why use up your valuable desk space for patterns when you can hang them! You might already have a dresser of some sort in your craft room. Do you know what’s in every drawer? This is a cute and creative way to decorate and organize at the same time. 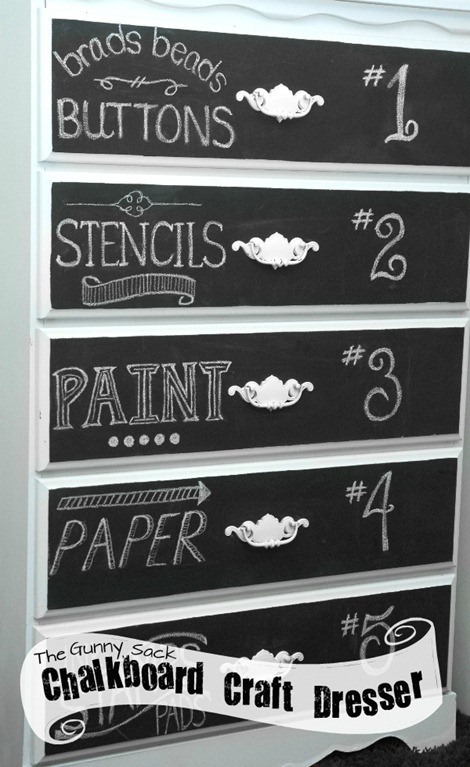 Oh, and it’s always fun to use a little chalkboard paint here and there! Pretty, pretty, pretty! I wish I had that much baker’s twine, but maybe this is a reason to buy more! Isn’t this a beautiful way to organize? Some of you might already know, but I have tons of craft room inspiration, DIY organization projects, and craft supply storage ideas on Everything Etsy. 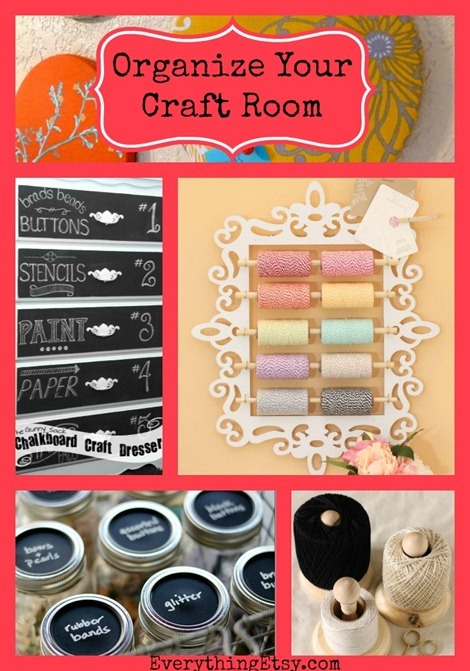 I’m sure there’s something that will be perfect for you and your crafty space! Do you have a favorite organization idea? Did one of this projects make it on your list of projects for the week? I’d love to hear about it! Okay, I stopped by to say thanks — THANKS — for including me in the round-up and ended up falling in love with that chalkboard paint dresser! Such an amazing, amazing idea! Hi! Thanks so much for including my baker’s twine rack in this roundup. 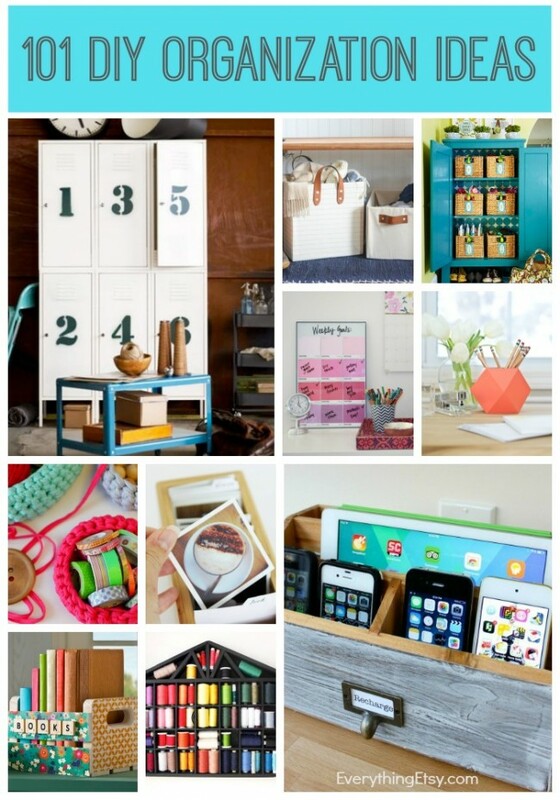 This is such a great collection of organization ideas! I see mason jars in my future! 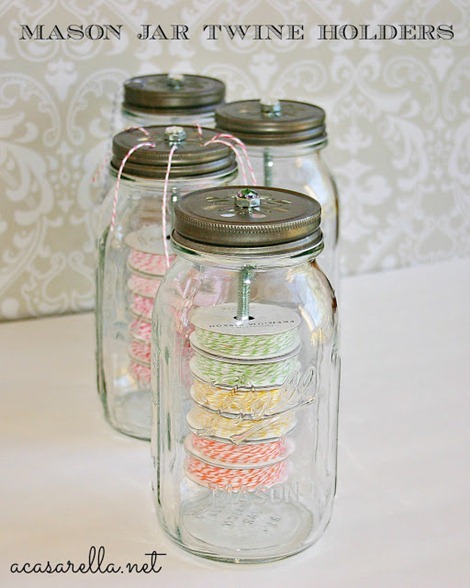 love the twine in the mason jars! awesome idea! Ugh. Saw this post just hours after I was opening many drawers and tins looking for items, and thinking that I really need to label things! Just caught this post (and pinned it). I love the site and appreciate all of your hard work. Every post is inspiring!